At Bolyard's Meat & Provisions we offer pork, chicken, beef, and lamb that have been raised on the lush pastures of small Midwestern farms. Non-confinement, rotational grazing, and diets consisting of alfalfa, bluegrass, chicory, clover, and an occasional acorn and grub worm, allow our animals to thrive, without the use of hormones or antibiotics. Passion and patience fuel our farmers, and it shows in the exceptional quality of our meats. 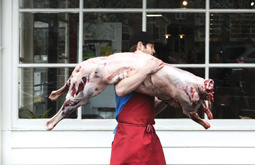 Our customers can shop with confidence, knowing that they are bringing home the very best and absolute freshest pasture raised meat Saint. Louis has to offer. After selling THOUSANDS of our flakey buttermilk biscuits with our TUESDAY and THURSDAY night dinners, we're taking it to the next level! BREAKFAST. 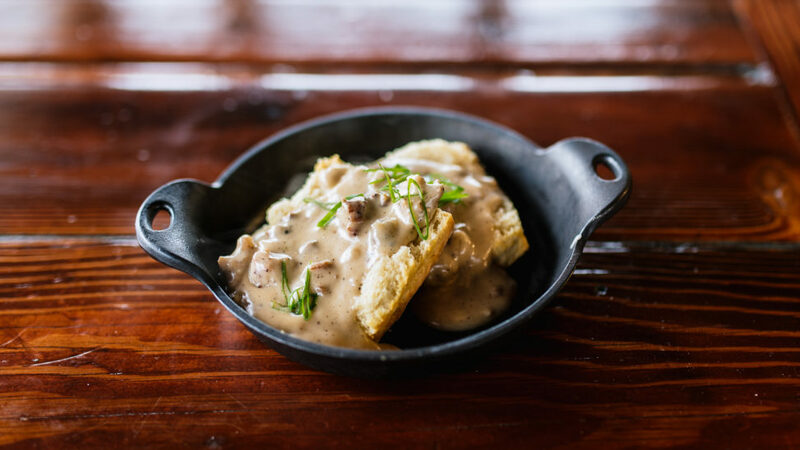 Starting Saturday January 6 we'll be serving up these golden gems smothered in house made sausage gravy OR as a biscuit sandwich with house smoked ham, white cheddar, and an apple and raisin chutney. 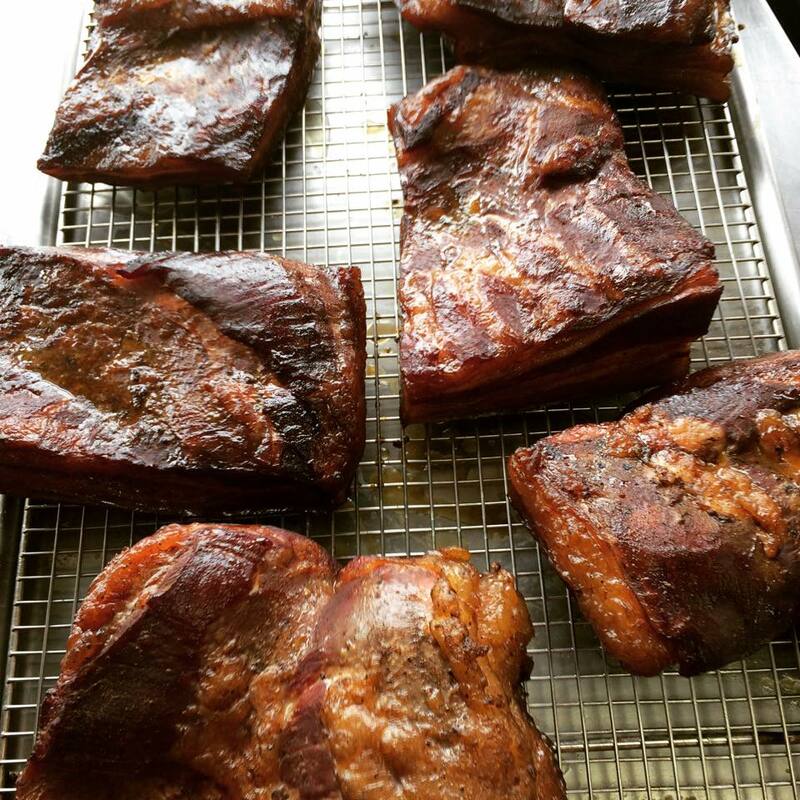 One of the biggest challenges of eating local, responsibly raised meats is finding the time to prepare them! But now we've got you covered, check out our prepared meals on Tuesdays and Thursdays complete with house made biscuits and sides! we also offer STOCK which is unseasoned and makes the perfect base for soups, braises, cooking with grains or to create your own seasoned sipping broth at home! SIGN UP BELOW TO GET THE LATEST MEAT NEWS!